Please note that there will not be any movie spoilers within this post, however, I am going to be discussing emotions and ideas evoked by the film, so if you’re super spoiler sensitive you might want to give this post a miss until you’ve seen the film. To those of you who aren’t aware I’m currently running a Star Wars Edge of the Empire campaign as part of the Tides of Change Facebook community; you can find more about the community here, but essentially it’s a way of bringing together people who are enthusiastic about running the most recent iteration of Star Wars RP produced by Fantasy Flight Games. The Edge of the Empire game focusses on players portraying smugglers, bounty hunters and independents within the Star Wars universe, think Han Solo before he hooked up with the rebellion, Lando Calrissian or any number of other morally grey characters, towards the end of this year I felt like the game I was running was getting a little unfocussed, drifting away from the core themes of the game, we’d had some entertaining sessions but the main feel of an Edge of the Empire game seemed to have become a little lost. As I do whenever I think a game needs re-focussing or re-booting I got in touch with my players and had a discussion with them about it, we’ve come up with some ideas to bring the game back on track. For anyone interested you can read some more about our plans here. Last night I went to my local cinema and watched Star Wars: the Force Awakens, although it wasn’t a 100% perfect movie (but what is) I very much enjoyed and thought that it captured the original spirit of the classis trilogy. I also enjoyed it because it reminded me of a few things about the Star Wars universe, some of which I had forgotten. 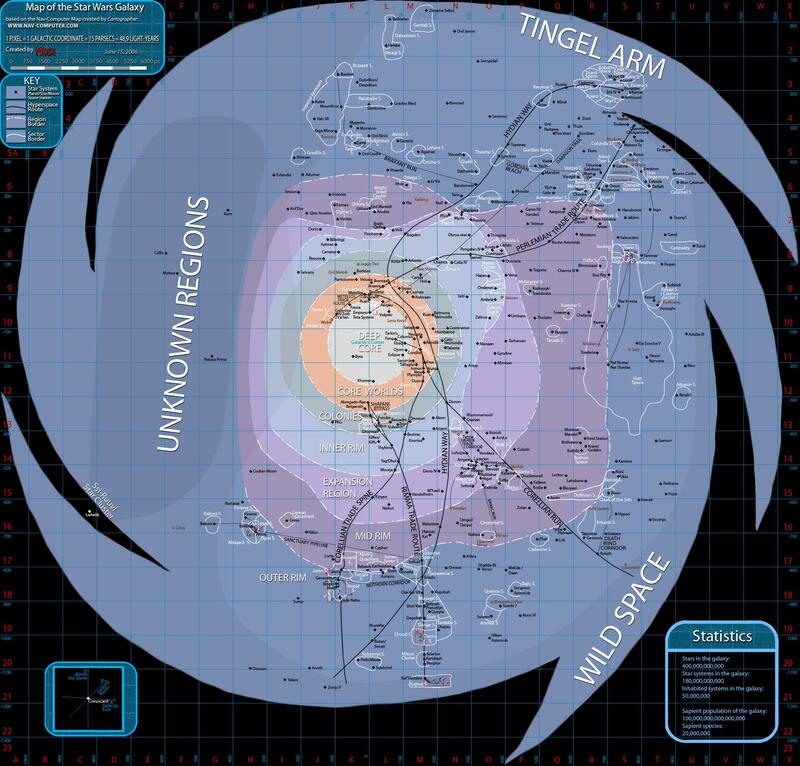 The Star Wars universe is a vast place, full of wonderous worlds and strange creatures, thanks to hyperdrive capable ships it is possible to explore these alien vistas in a relatively short time. The movies tend to skip on travel, cutting from one exciting location to the next with planets serving as little more than exciting backdrops for the main action. Originally we focussed our game on a single sector of space, which made the admin stuff easier and meant we could explore the character of the specific area in more detail, but it was a little restrictive and lost some of the Star Wars flavour, next year we’re opening up our game to the whole Star Wars galaxy, giving our players free rein to travel wherever their resources and imaginations can take them. 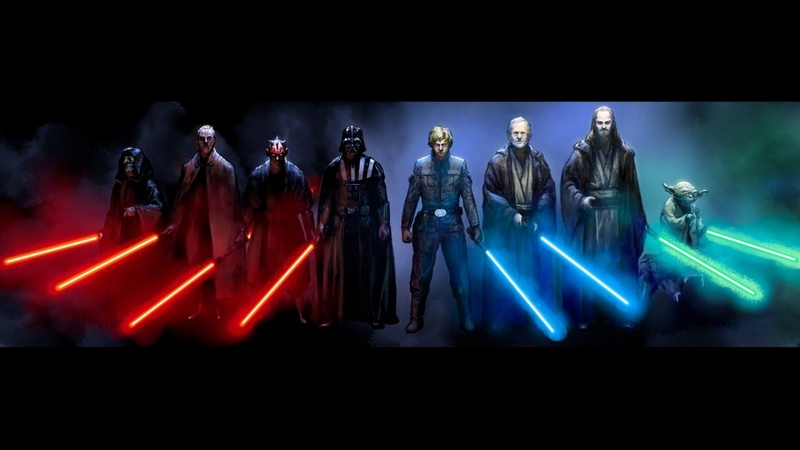 Even in the prequel trilogy one of the main conflicts in Star Wars has been the tug of war between good and evil, the franchise makes this pretty clear with the light and dark side of the force. Even for more neutral characters (like the smugglers and traders in an Edge of Empire game) the impact of galactic evil can be felt and would have an impact on their lives, the monolithic force of the Galactic Empire clamping down more on freebooters and making it more difficult for them to earn a living. I intend to play this up more when our game returns, giving the sense that the Empire really is this huge force that a single ship and her crew cannot hope to triumph over, however, they can occasionally slip through the nets or achieve small victories against specific enemies. 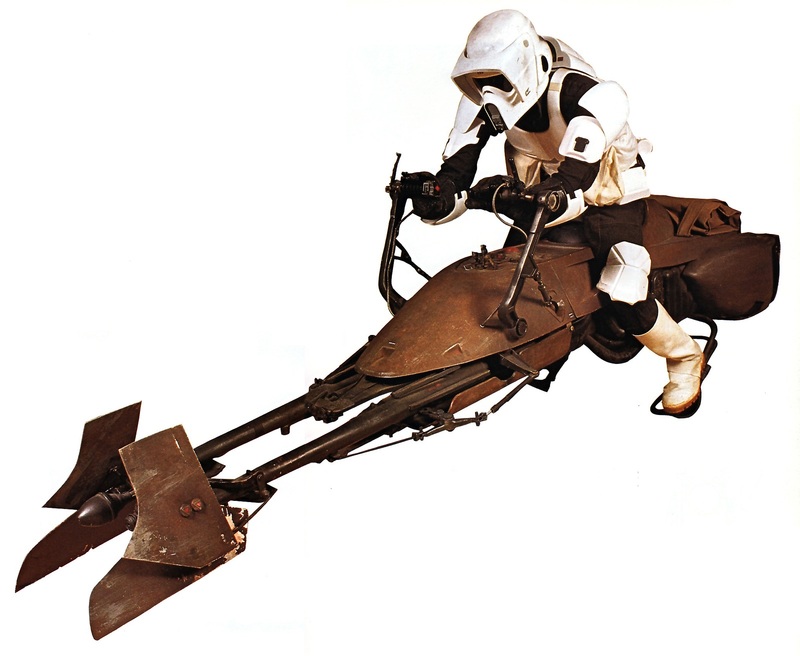 There’s an awful lot of vehicle combat in most Star Wars films, whether this be speeder bikes chasing rebels through the forest moon of Endor or huge fleets of ships clashing in deep space. Most vehicle combat in Star Wars seems to give us a large scale view of the outer battle and then we zoom it to look at specific challenges that one side or the other have to overcome. For example: In the attack on the first Death Star we are shown the rebel fleet closing in and then we zoom to the attack runs on the trenches where the fighter pilots have to make that all important shot. I’m not yet sure how I’m going to convey this in our game, but I would definitely like to make more use of cut-aways and pull backs to reveal the wider picture of a conflict, also I’d like to present vehicle combats that the players are involved in less as a straight, stand-up fight but more as a serious of obstacles they have to overcome, this should make combats like this more dramatic and quicker to resolve. In Star Wars there are two things that you can rely on, there will be strange aliens of all descriptions and that there will also be a sinister villain or two lurking behind the woes of the main heroes. FFGs games have a great way of creating these nemesis style characters and so. For our game in 2016 I want to create a villainous enemy who will dog the players and be the main antagonist, however, I want to make it something more appropriate to the collection of smugglers and bounty hunters that make up my player party, perhaps an Imperial customs official or an evil bounty hunter, someone who won’t appear initially but whose presence will be felt throughout the game. 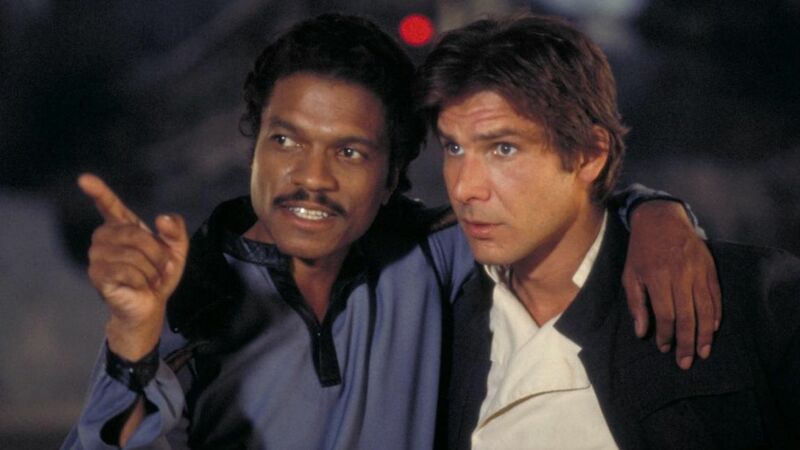 Friends and contacts in various places are also a staple of Star Wars, allowing characters to get passage for their ship or even lay low for a while. This is something I’d like to bring in more to our game but I’m not sure whether to just try introducing NPCs that the PCs can gain as contacts or whether to introduce a system based way of gaining contacts, perhaps if the PCs spend a destiny point they can say that they have a contact in a particular system or something along those lines. So those are a few things that I was reminded of whilst watching Star Wars: the Force Awakens that I’d like to try incorporating into our Star Wars game in 2016, I very much enjoyed the film and am looking forward to the next one, it has also filled me with enthusiasm for moving our game into the New year. We’ve already started making a few changes, the game will be re-named Adventures on the Outer Rim going forward, we’re going to have a years worth of downtime and then jump back to our player characters in the year 3 ABY. The game is going to be run as a series of trilogies, effectively groups of 3 sessions, each trilogy will deal with a specific plot, job or mission that the player party engages in, there will be some themes and NPCs carried between them but each will be largely self-contained representing the group getting involved in smuggling runs and trading, amongst other things. This entry was posted in Adventures on the Outer Rim, Campaign Creation, Terror on the Outer Rim and tagged Adventures on the Outer Rim, Edge of the Empire, Fantasy Flight Games, Star Wars, Terror on the Outer Rim, The Force Awakens, Tides of Change by John Large. Bookmark the permalink. Those are some good points. I started playing a SW campaign myself earlier this week (running using Immersion RPG rules). It’s been a lot of fun. I think that’s in part because we all have Star Wars on the brain (my mate watched it twice by the second day, then watched most of the rest on DVD), but also because of committing to the world building and creation of characters. Interestingly, for contacts I usually find having a stat for them works really well. I haven’t played Edge of Empire, so I don’t fully know how it works, but that system you were thinking up sounds good to me too. It seems like a fun game. Hope your future games go equally well. 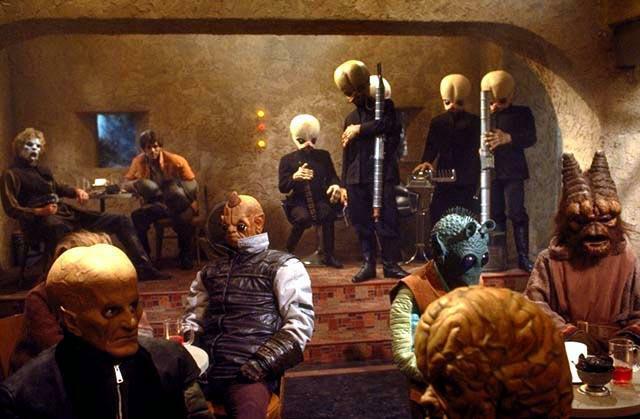 Out of curiosity, do you ever wonder why Star Wars is so insanely popular when few other good sci fi worlds are? Star Trek is popular, but not nearly so much. Battlestar Galactica, Firefly, both are good worlds but not really that popular comparatively. And there are just countless others. I think one of the reasons that Star Wars is so popular is that it isn’t “hard science fiction” and contains a lot of fantastic elements (the Force being the most famous arguably), making it easier for everyone to get involved with them, you don’t have to worry about understanding the science or anything like that. I think that the main focus of the good vs evil battle that is at the heart of Star Wars appeals to a lot of people, it’s an archetypal theme that has a lot of power behind it and is understood by most people.